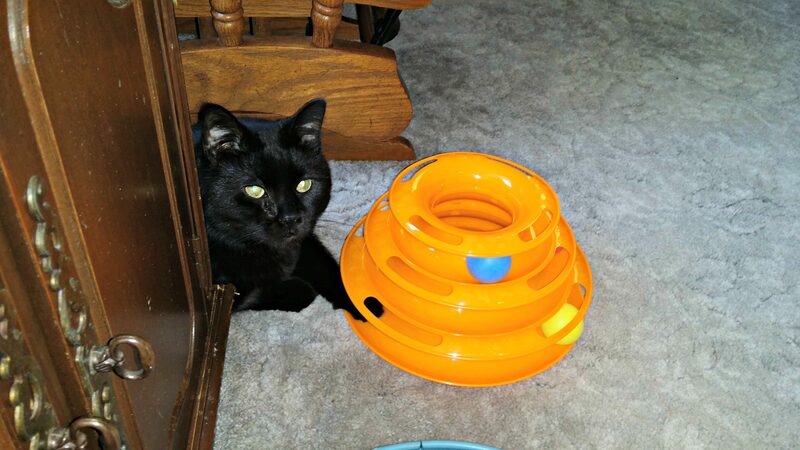 My cats love to play with bright shiny toys. 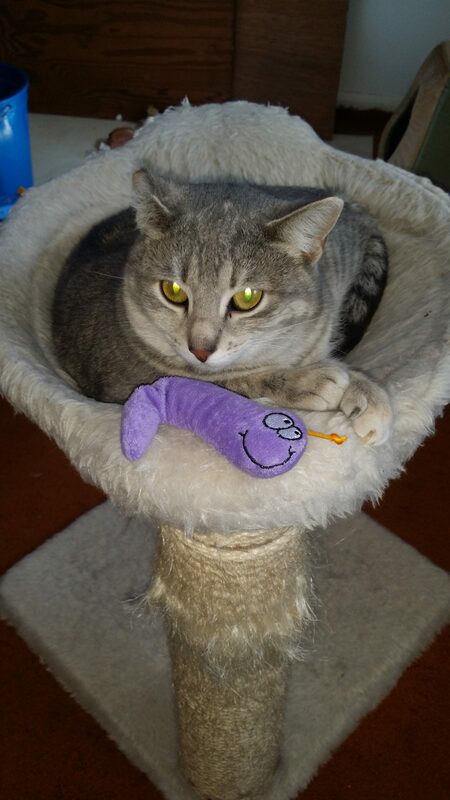 They love to play with catnip filled toys, balls, birds, mice and much more. If I dangle a bird or fish on a string they jump up and down and act like young kittens as they try to get the fish or bird as their reward for their hard work. My cat Kohl loves to play with rubber frogs. Conrad loves to play with a rabbit that dances when he pulls out its tail. My cats next door love catnip filled mice and toy balls. Conrad will spend at least 20 minutes a day batting a ball around his track toy for cats. 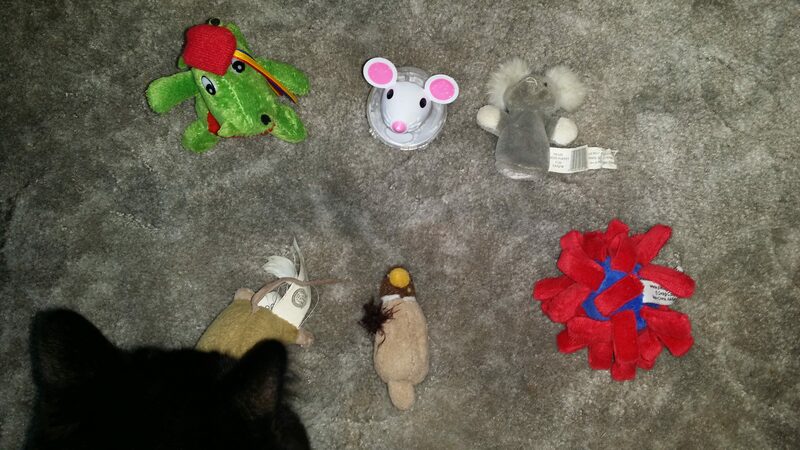 Garfunkel plays with a wide range of different cat toys. Cats need and want to play with toys to keep them in shape and keep their natural instincts alive and well. My cats love a variety of different cat treats. Cat treats are good as a reward for good behavior or great as an afternoon snack. Cats love to eat a quality canned cat food. My cats enjoy anything made with tuna, lamb, chicken, shrimp and meat mixed with vegetables. I buy a dry cat food that does not have all kinds of additives and words that you can’t even pronounce in the mixture. I try to stick with cat food that is made in the USA or in Canada. 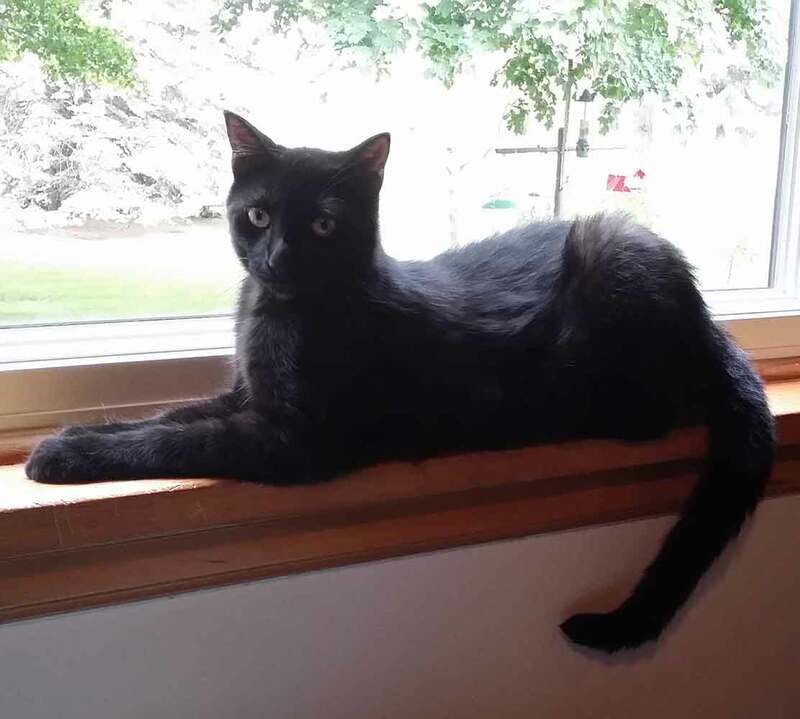 I love to order my cat food, heated beds and toys and more from Chewy.Com. My feline friends love heated cat beds and water bowls. 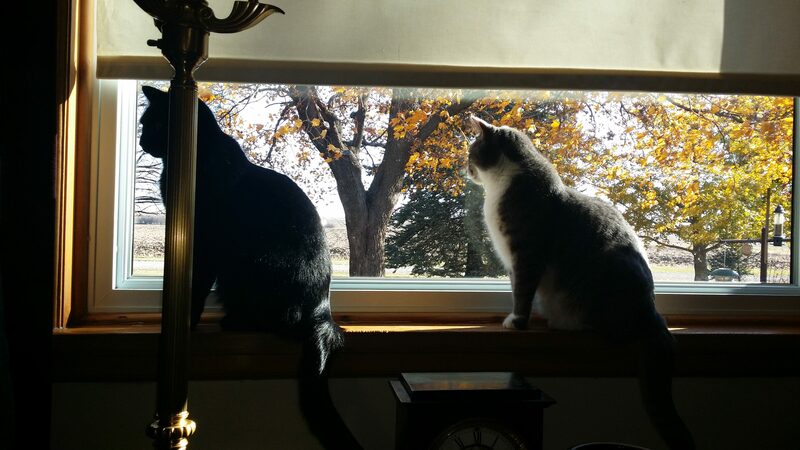 I have heated windowsill cat beds that my cats absolutely love as they can rest and watch birds at the same time. 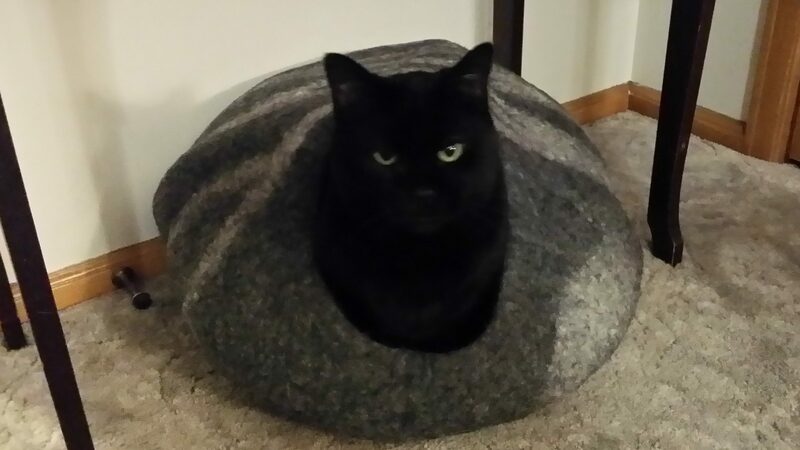 I have individual cat beds that my cats can curl up in ball in and stay cozy all night long on cold winter nights. 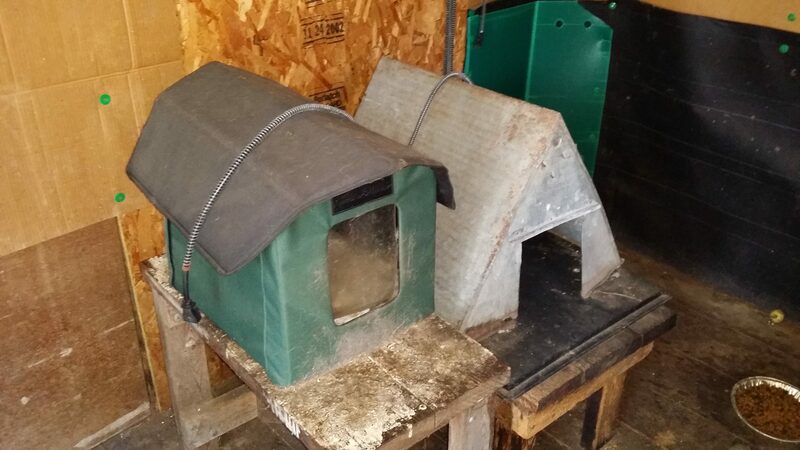 My outdoor cats have a building with heated outdoor cat beds and a large heated water bowl. 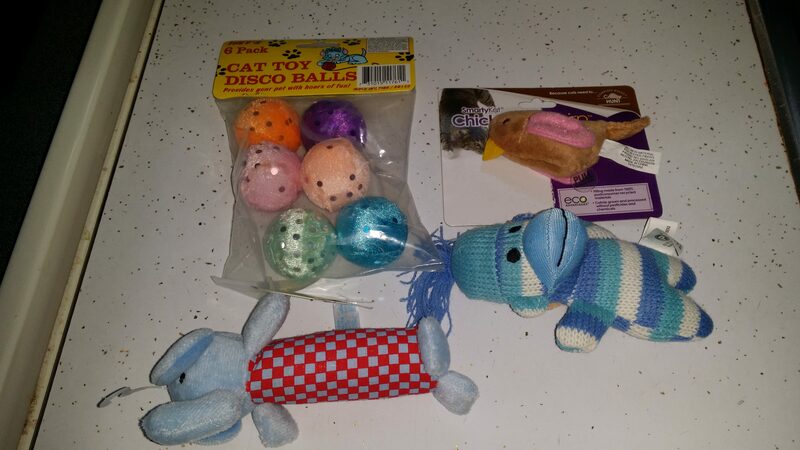 I hope your cat has lots of toys to help keep him active, content and healthy. 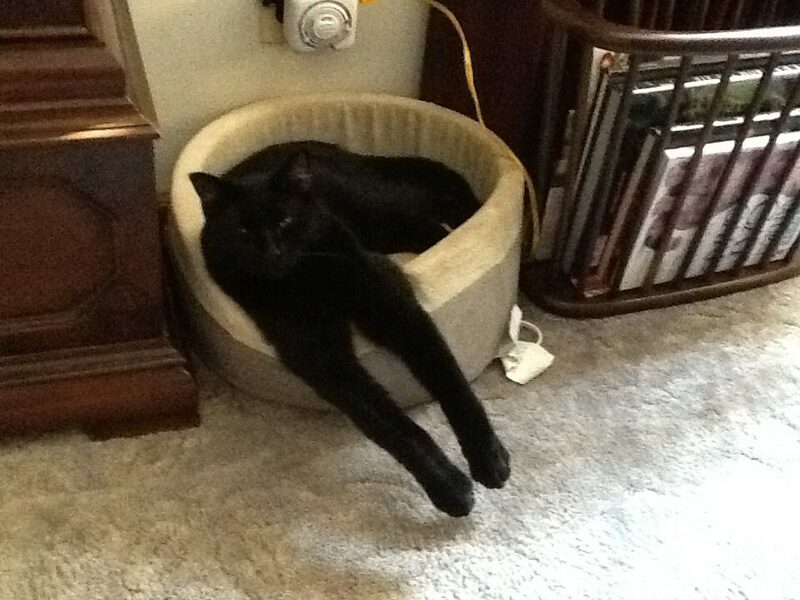 Cats love a heated cat bed to keep them warm and cozy. Good quality cat food helps keep your cat healthy and active and your cats coat nice and shiny and healthy looking. I hope you and your feline friends live to a ripe old age. A cat owner always wants the best quality items possible for their feline friends. I would like a new heated cat bed for my cats so they can enjoy the cold winter nights in complete and total comfort. 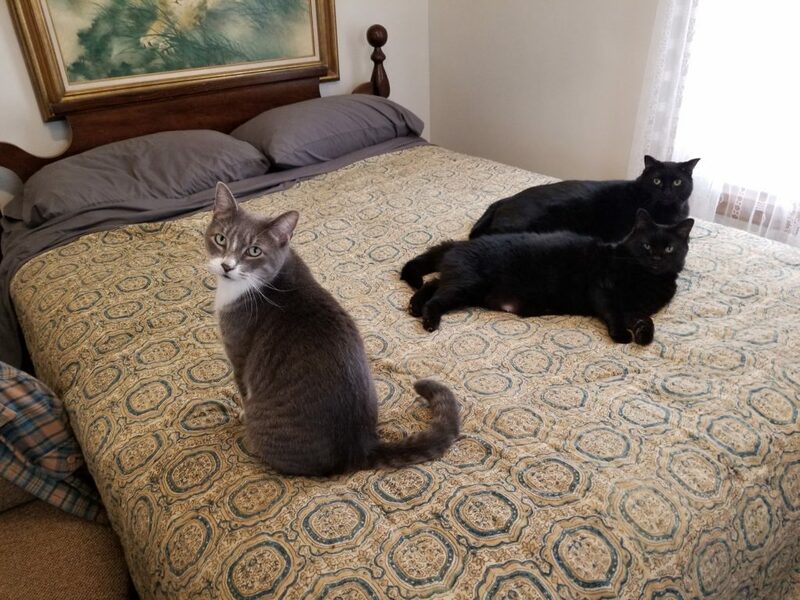 Chewy.Com has a large selection of fine heated cat beds to choose from. They have heated beds for your indoor and outdoor cats. My cats like their Litter Maid self cleaning litter box. 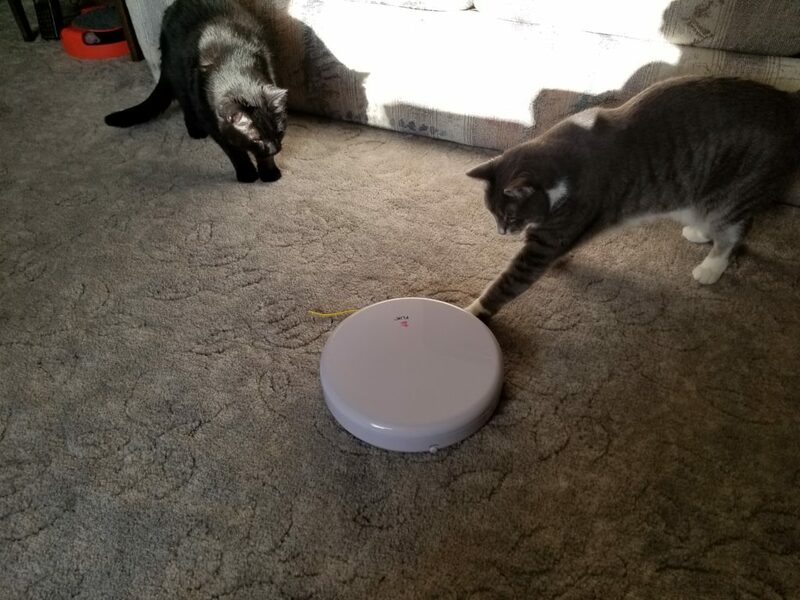 After a long day at work you don’t want to scoop away at cleaning your cats litter box. 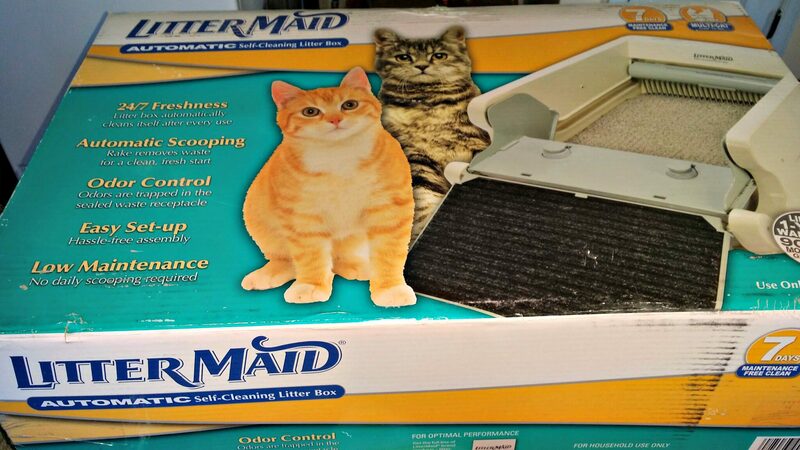 The Litter Maid self cleaning litter box does all of the cleaning for you so you can have a nice and relaxing evening. I like stainless steel water and food dishes as they are easier to clean and do not break if you happen to drop them. Plastic dishes and water bowls become brittle with time. Plastic bowls stain easily and look unappealing . My cats like to eat more cat treats as the weather gets colder. Chewy.Com has huge selection of fine quality cat treats that are made in the USA to choose from. My felines like to play with catnip filled cat toys. They like catnip filled toy mice, balls, snails, balls on strings and pretty much any cat toy that is filled with catnip. A gift certificate from a pet store is an excellent item for you to give to any kind of pet owner. They can pick out what they are in need of for their pet at this particular moment in time. A cat owner would like some Udderly Smooth Hand Cream from UdderlySmooth.com to keep their hands nice and silky smooth after they clean up after their cats. A cat owner always is in need of good quality cat litter and cat food. I like to make sure all of my cats food is made in the USA or Canada. 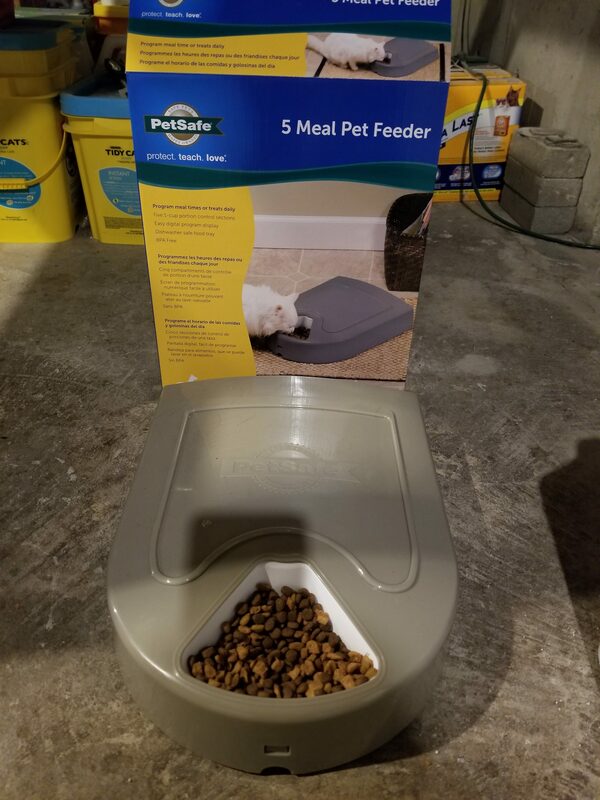 I hope this post helps you choose the perfect gift for all of your friends that have a feline or two in their household. Cats like an extra warm area to sleep. 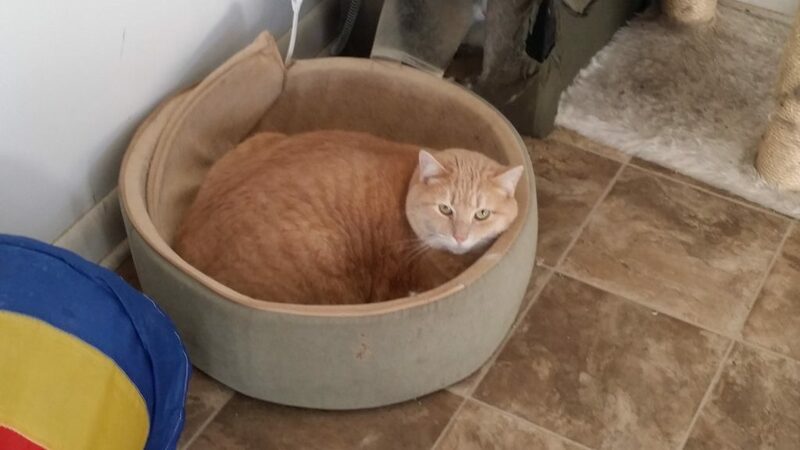 A nice heated cat bed would be the perfect gift for any cat. My cats like to sleep on a big fluffy towel in a box that is easy for them to get in and out of. My cats also enjoy a a hammock cat bed and windowsill heated cat beds. Cats will be delighted if they get new catnip toys for Christmas presents. Cats love to play with balls that they bat around with their paws. A talking bird cat toy will delight your cat for hours as he pounces on it and it chirps like a live bird would. Cats like to play with sponges and empty toilet paper rolls also. Toy mice are an absolute must for Christmas presents in my house as my cats love to toss them up in the air and pounce on them. Cats love tuna canned in water and a variety of cat treats for Christmas. New cat dishes and water bowls and litter boxes are healthier for your cat. Old dishes that are all scratched up can harbor a lot of germs in the cavities of the scratches that you can never get 100 % clean and the same goes for old litter boxes. Get all of your cats shots up to date and have your vet give your cat a complete physical for a Christmas present. A gift of good health is the best gift you can possibly give your cat. You and your cat will have many Christmases to share together over the years. Have your cats teeth cleaned. Dirty or bad teeth can lead to a lot of health issues. Spend part of Christmas day playing with your cat. Cats love to play with string toys that have a fish or bird at the end of the string. Your cat will bat away at the fish or bird at the end of the string for along time. I hope you and your cat have many healthy and happy Christmases to come. I have purchased four of the Trixie scratching post hammock beds for my cats over the years. The Trixie products are easy to put together all you have to do is screw two bolts into the cat hammock bed and it is completely assembled. My cats next door sleep in the hammock part everyday. They also use the scratching post constantly. My cats manage to remove the attached ball in about a months time. My cats still play with the unattached ball. Addi loves to sleep in her hammock bed day after day. Russ loves to curl up in the hammock for a long afternoon nap. 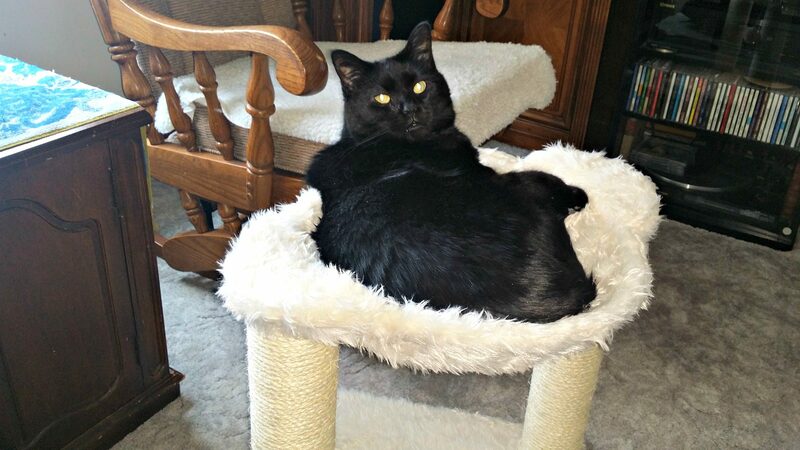 Hilford loves to scratch away at the scratching post on the Trixie scratching post combination hammock cat bed. Sherlock loves to bask in the comfort of the soft fleece on the hammock cat bed. I have found Cali curled up in a tight little ball sound to sleep in her hammock cat bed. Lorenzo sleeps in the hammock every chance that he can get. Mr. Gray lays in the hammock and plays with the older cats tails from his higher vantage point. My cats next door love scratching away on the rope covered cardboard post on the Trixie combination hammock cat bed. Most of my cats next door have their claws so I love the Trixie scratching post combination hammock cat bed because all of my cats next door with claws love to use it. Kohl jumped into the Trixie hammock cat bed the moment I had it assembled. He slept in it until I put the Trixie hammock cat bed in the house next door for my other cats. Conrad batted the attached ball around for about ten minutes. I would highly recommend a Trixie scratching post combination hammock cat bed to all of my feline loving friends. I found my Trixie products on the internet.